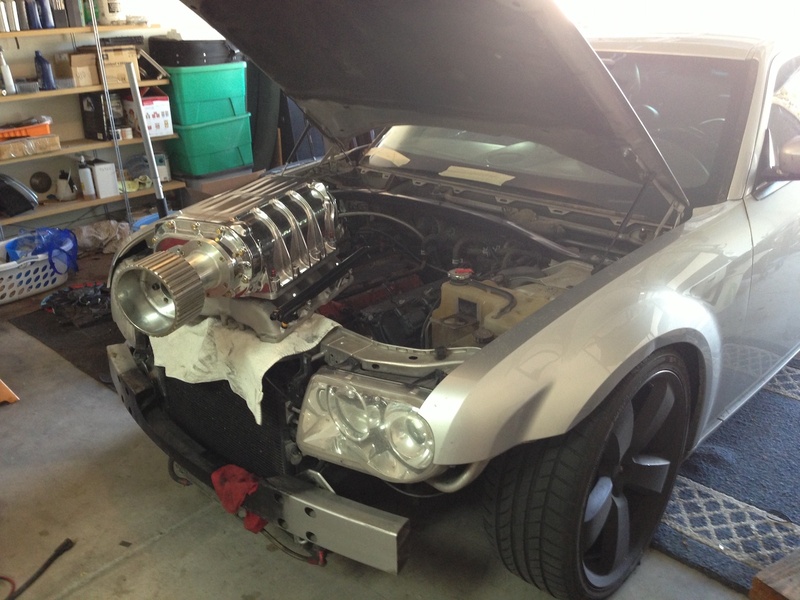 After the stock engine failed, Matt Leischer decided to build a 6.5-liter Hemi equipped with a 6-71 supercharger! “It’s like getting all the attention of driving a Ferrari, but without all the resentment!” says ”Mad” Matt Leischer of Laveen, Arizona. 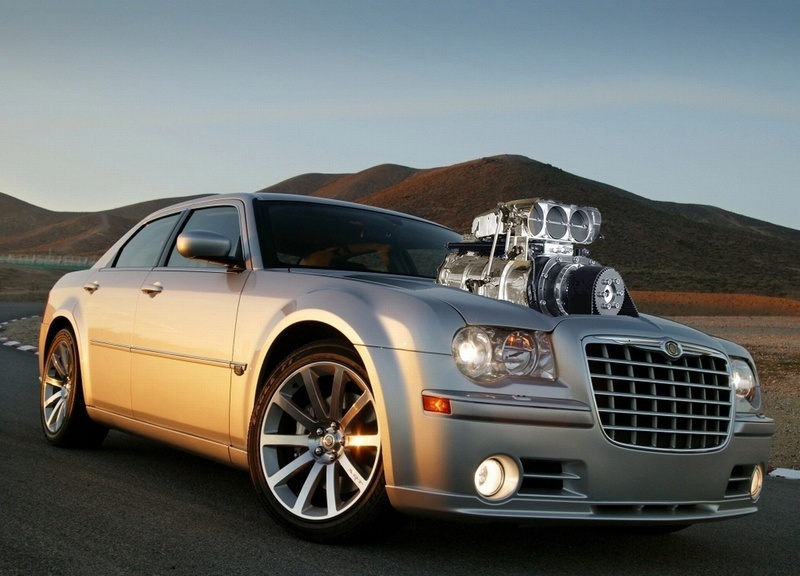 His 2006 Chrysler 300C SRT8 isn’t your typical high-buck show car though. Pushing nearly 200,000 miles on the odometer, Leischer’s blown 6.5-liter Hemi-powered post-apocalyptic sedan doesn’t follow the usual hot rodding conventions, and it’s precisely that “what if” approach to what is possible that brought Leischer’s project to life. Leischer originally photoshopped an old school blower and bird catcher setup on a Chrysler promotional photo as a joke, but soon decided this wild idea needed to become a reality. Old age would eventually take its toll on the original internals of the Hemi, resulting in an intake valve dropping into the cylinder at wide open throttle. The failure provided Leischer with an excuse to rebuild the motor as a “better, faster and stronger” mill. 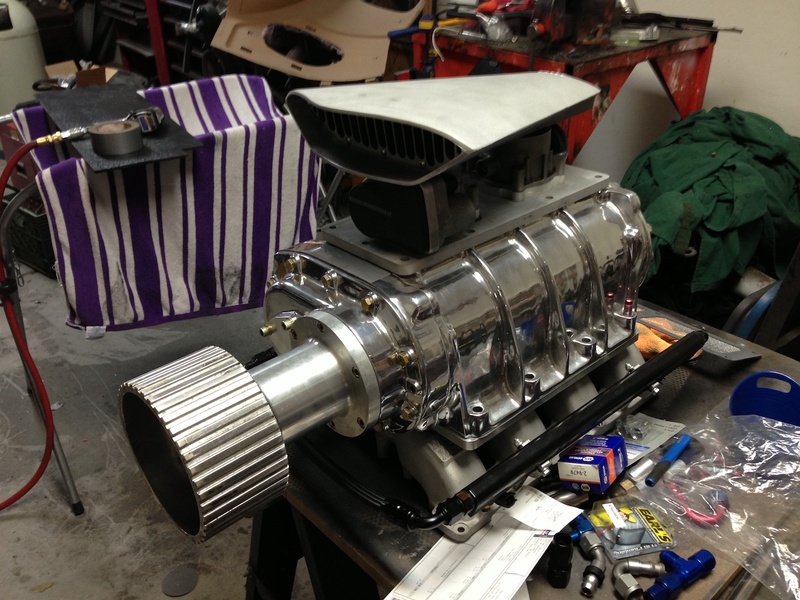 After some eBay hunting, Leischer sourced a rebuilt 6-71 GMC blower that had previously found use on a 327-powered T-bucket. Finding the supercharger was the easy part though – making it work within the confines of the 300C engine bay would be the real challenge. 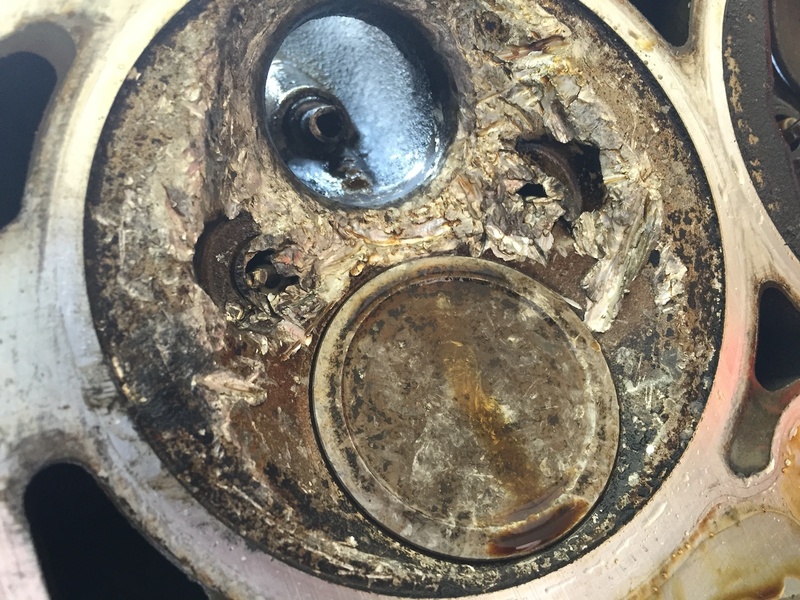 While the 6.1-liter Gen III Hemi remained largely stock for the first few years after figuring out how to make 6-71 work with the packaging and mechanical constraints he faced (which involved mounting the blower pulley backward and relocating the radiator forward with spacers), old age finally took its toll on the Hemi, and the #1 intake valve dropped into the cylinder at wide open throttle. “And that, as they say, was that,” he recalls. Fortunately the failure provided a valid excuse for Leischer to rebuild the Hemi with more potent internals. 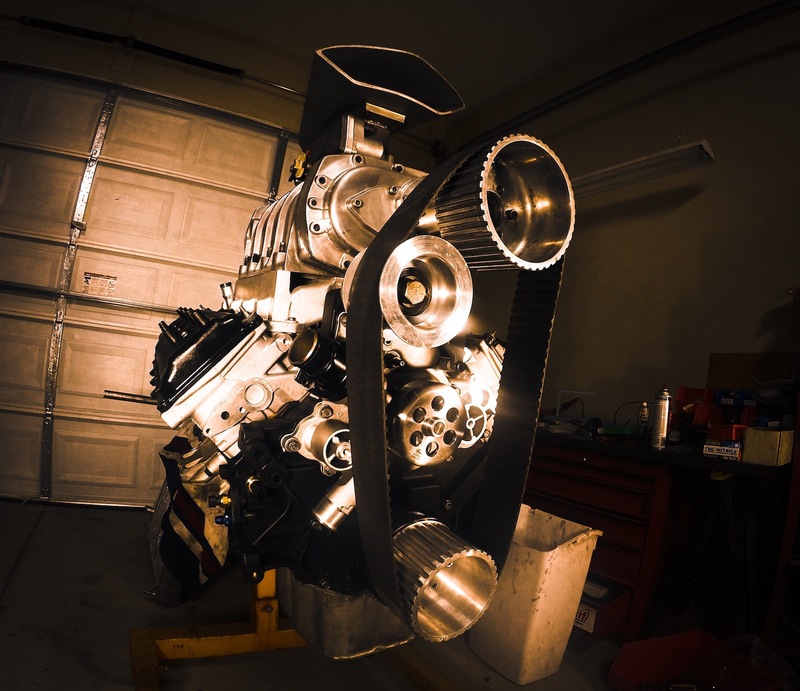 It’s now a 6.5-liter, 398ci mill by way of a K1 3.975 stroke crank with Molnar forged H-beam rods, custom Wiseco pistons (9.5:1 compression made to use .866" wrist pin for thicker crown), an ATI Super Damper (13% underdrive), a Bullet camshaft (608"/608" lift, 248°/252°@.050, 114°), and 6.1-liter cylinder heads with “hogged-out and shiny’d up ports” that were done by hand by Leischer over the course of more than 40 hours. Making the blower work with the Hemi and within the confines of the 300C’s engine bay took some ingenuity that included mounting the blower pulley backward, relocating the radiator forward with spacers, and using a Gen III Hemi damper from ATI that was built with a standard three-bolt Chevy pattern so it would work with the big-block Chevy blower pulley. As for the future, Leischer plans to continue dialing in the Hemi’s tune and then hit the track, “where I can start poopin’ parts out,” he quips. For now though he’s content to simply roll around in a rad supercharged Mopar. “Every outing with this car turns into a cool story." The Chrysler’s sinister look comes courtesy of a homebrewed concoction of clear plastic dip mixed with black iron-oxide pigment, which was applied with a Wagner Power Sprayer.